Bill is Progressive O&P’s Insurance Appeals specialist. Bill developed Progressive O&P’s Insurance Appeals Team, and is passionate about fighting for patients’ rights to be fitted with the highest quality prosthesis/orthosis devices. 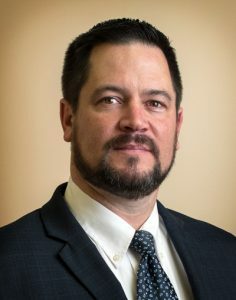 Bill has been an American Board Certified Prosthetist since 1999; he earned his Bachelor of Arts degree from Rutgers College, Rutgers University in 1992, and holds a Post-Graduate Certificate in Prosthetics from University of Connecticut’s Newington Children’s Hospital. Bill is a member of the American Academy of Orthotists and Prosthetists; he’s certified to fit C-Leg™ and Rheo™ microprocessor-controlled prosthetic knee technology, Harmony™ elevated vacuum prosthetic socket systems, and is certified in MyoBock™ myoelectric prosthesis. To me, the ability to walk and function as a human being is not a privilege, it’s a fundamental human right. You are more than your disability and I will work tirelessly to make sure you can be fitted with the orthosis or prosthesis you deserve. To learn more about how the Insurance Appeals team can help you obtain the prosthetic/orthotic products or services you need, click here.